STUDENT VOICE: Lost on campus in the Supreme Court’s shuffle? Students often find their voices are left out of important discussions that directly affect their education. As a 21-year-old rising senior and two-term student body president at Chapman University in Southern California, I find this unjust. It is imperative that we bring all-important student voices to the table. Many of us here on campus are afraid. With the news of Justice Anthony Kennedy’s retirement, the Trump administration’s plans to roll back protections for affirmative action and the president’s nomination of Judge Brett Kavanaugh, students of all ages and backgrounds have good reason to be concerned. We are losing a crucial voice for affirmative action, LGBTQ rights and abortion rights — and many unanswered questions remain. Roughly 75 million students entered U.S. classrooms in the fall of 2017. Too often, students affected the most are the voiceless and find themselves unfairly targeted. Our international students, DACA students and our youth are unable to vote, yet have the most at stake in nearly every Supreme Court decision concerning education. We are not in need of a new justice who will advance the bigotry and vitriol that are rampant in today’s America. Unfortunately, though, our education system is an easy target to do just that. And the issues go far and wide. We have seen, or will likely see, challenges on topics surrounding school choice (Trinity v. Comer), special education (Endrew F. v. Douglas County School District), discrimination on the basis of race (Fisher v. University of Texas at Austin), gender (United States v. Virginia); teachers’ rights (Janus v. American Federation of State, County and Municipal Employees), affirmative action (University of California v. Bakke) and more. During then-candidate Trump’s campaign, he said he would “appoint judges very much in the mold of Justice Scalia.” With Kavanaugh’s nomination, a man who has expressed admiration for Scalia and the importance of textualism, President Trump is sticking to that promise. It does not take much life experience for one to understand the value of diversity, of learning alongside those from different backgrounds and with differing opinions. In fact, a recent report from Gallup and The Knight Foundation found that college students value a diverse and inclusive environment even more than free speech rights. (The Knight Foundation is among the funders of The Hechinger Report.) Justice Scalia’s views on this issue are nothing short of dangerous and shameful. Justice Kennedy twice supported the inclusion of race in the admissions program at the University of Texas. 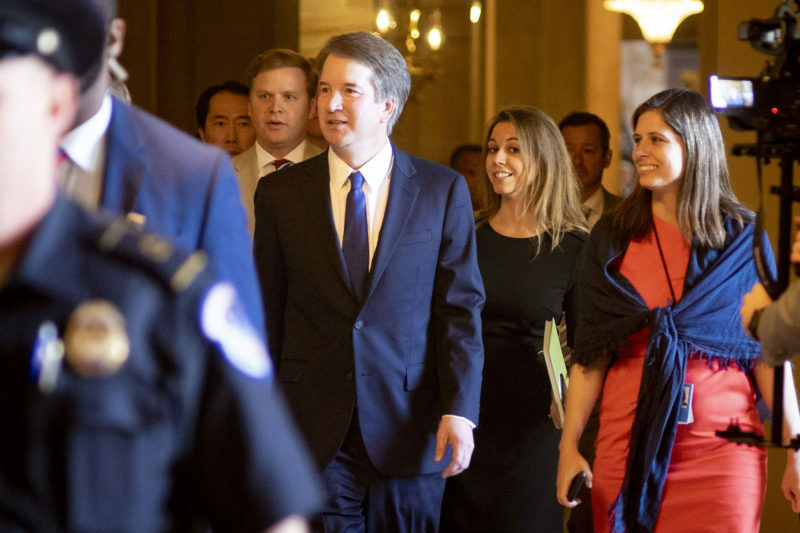 He voted with the four liberal justices to uphold the policy as the four conservatives wanted to rid the slate of affirmative action altogether. With Justice Kennedy’s retirement and the pending confirmation of Judge Kavanaugh, the Court’s majority may have the opportunity to do just this with impending cases against Harvard University and the University of North Carolina. In 1996, the Supreme Court in United States v. Virginia voted to strike down the exclusion of women by the Virginia Military Institute, a state-run, all-male institution. Justice Scalia even conjectured that “gender-based developmental differences” should allow the school to discriminate, simply not understanding the ways in which female students could benefit the institution. Scalia’s view demonstrates how someone of his political ideology may act on the Court with a willingness to disregard the rights of classes one may not recognize in an originalist view. This a stained slice of American history. The Court rules on issues involving education at all levels, affecting tens of millions of students in our systems. Our nation’s students have good reason to worry about their prospects — decisions we expect to come on a score of issues, opening our students up to uncertainty for years to come. Weighing in on religion and schools, Judge Kavanaugh has signaled he might be open to allowing the flow of public funding to religious schools and has celebrated efforts to remove “a strict wall of separation between church and state,” including allowing the use of a school’s public-address system for student-led and student-initiated prayers at football games. Students have a right to feel angry, even helpless. But there are alternatives. I have long worked to be a spokesperson for students in my community and now is the time when our nation needs to hear those voices more than ever. We are no longer sitting idly by. Students make up a community, a force that is ready and willing to speak up, step in and fight back when our values are challenged. We have seen students speak up in Parkland, Florida. Thousands of students have participated in marches against gun violence across the country. This wave is not ending any time soon. If anything, the wave is growing larger. Together with students around the country and world, I am confident we will fight for the voiceless and the voteless. In middle school, I spoke out publicly against bullying and the unfair targeting of student minority groups. In high school, I showed state officials around our campus to stress the importance of digital literacy among our student body. Today, I cannot convince Justice Kennedy to change his mind, but I can write to my representatives. I can make my voice heard online. And, most importantly, I can vote in November. Millions of students and their families will too. This story about higher education and the law was produced by The Hechinger Report, a nonprofit, independent news organization focused on inequality and innovation in education. Sign up for our newsletter. 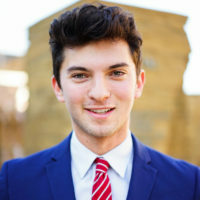 Mitchell Rosenberg is a student at Chapman University in Orange County, California.